Roger’s Piano offers instruments for event rentals ranging from small gatherings to concert hall extravaganzas. 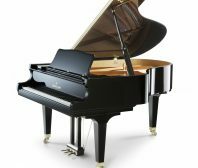 Whether you need a 9′ concert grand for a performance, a player piano for entertainment, or a digital piano for a band, we have what you need. Select products from Yamaha, chosen overwhelmingly by the world’s most famous artists.